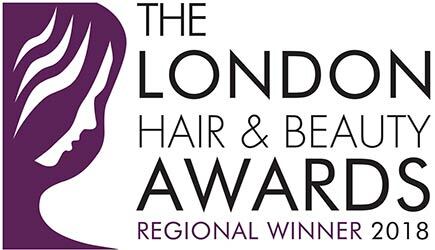 The Martyn Maxey Salon has been voted the regional winner for the Central London Hair & Beauty Awards 2018. The Salon took the trophy for the 2nd year running, an incredible achievement. Congratulations are once again in order. 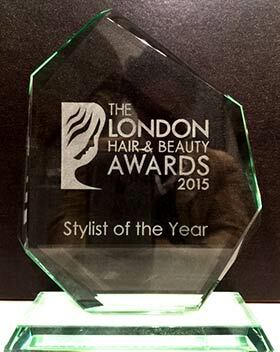 Award winning hairdresser Martyn Maxey has been awarded Stylist of the Year Award 2015, by the London Hair & Beauty Awards. 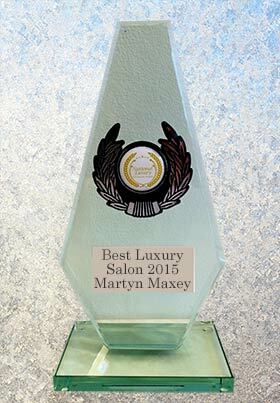 Award winning hairdresser Martyn Maxey has been awarded Best Hair Salon UK 2015, by the National Luxury and Lifestyle awards. 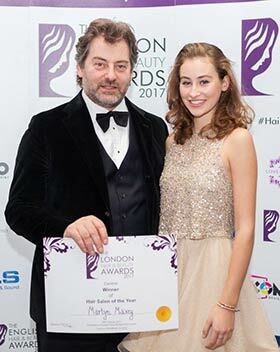 As a winner of many awards over the years, this is a very impressive achievment, after recently moving the salon to Marylebone. 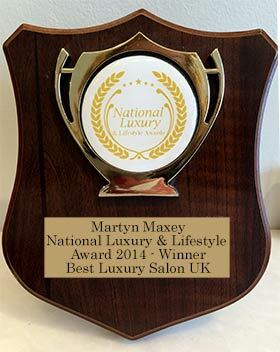 Award winning hairdresser Martyn Maxey has been awarded Best Hair Salon UK 2014, by the National Luxury and Lifestyle awards. Our hair salon and beauty salon is based in Wigmore Street, and offers hair and beauty services to the Mayfair and Marylebone area of central London. 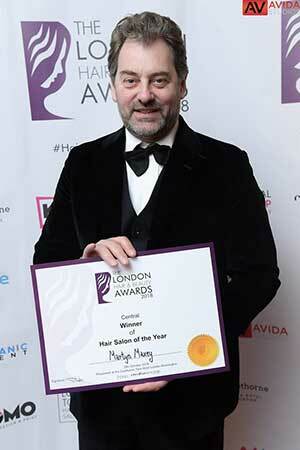 Award winning hairdresser Martyn Maxey started his salon in 1991 and quickly established a reputation in London as one of the great hairdressers. 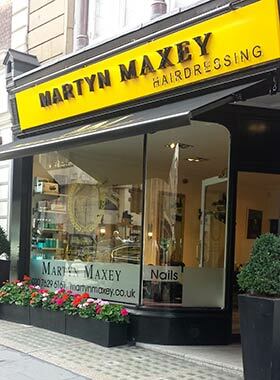 The salon quickly out grew its space and the salon moved to Grosvenor Street in Mayfair in 1997, where Martyn added the hair and beauty salon. Growing the salon�s hairdressing dynamically and pushing the boundaries of its beauty business Martyn has an unequalled reputation as one of the leading Hair and beauty salons in the UK. Our Mission is to make our clients look stunning with the absolute best cut and colour combination, it starts with really detailed advice and we then take our consultation and make it a reality, making the very best of your hair and looks. We are renowned for correcting colours, dealing with difficult hair and difficult technical work, sometimes creating a plan to get you back on track, some people simply loose their way with their hair and give up. We are here to put you back in control and put you back on top of your hair situation, making you look great again and younger too! If you wish to make an appointment for Hairdressing or if you simply have a query you can call us on 0207 629 6161 any day Mon-Sat to speak to one of our reception team.